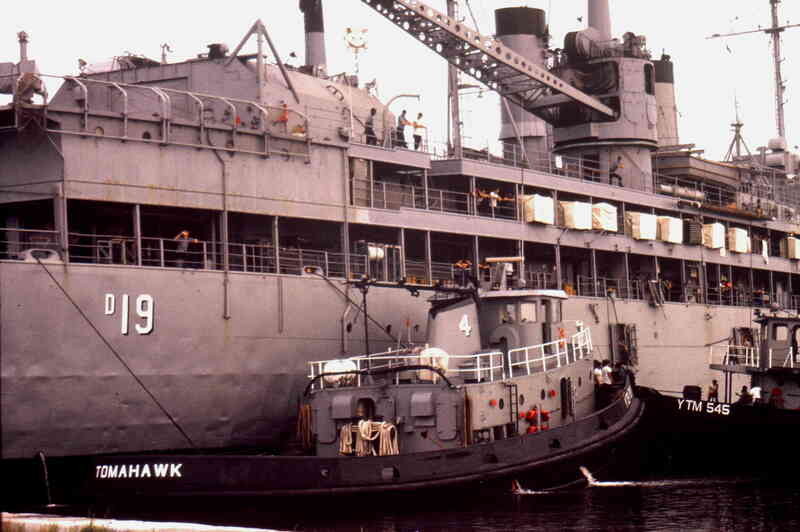 Laid down in January 1966, at Marinette Marine Corp., Marinette, WI. 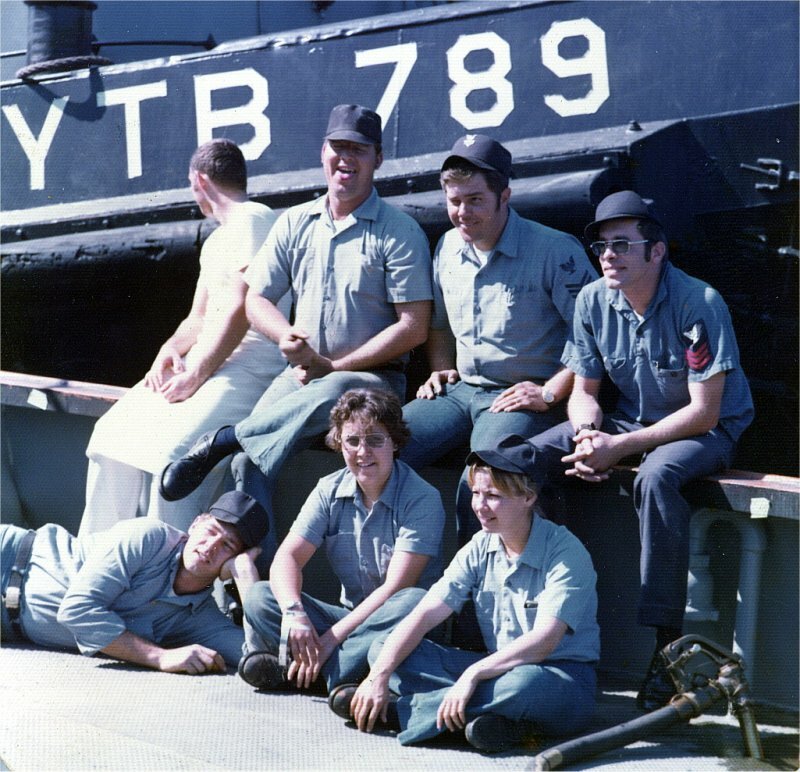 153k Tomahawk (YTB-789) is the backdrop for this photo of the Pontiac YTB-756 crew sitting on the starboard quarter of the tug at their dock at Naval Station Mayport, FL., circa 1975-78. 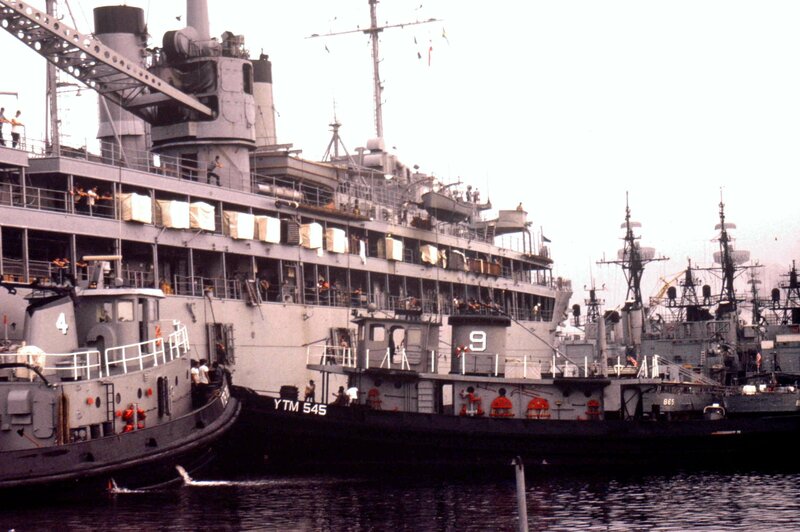 The Pontiac Tugmaster, Mike Beaver BM1, is in the back row far right, closest to the camera. Mike Beaver BMC USN Ret.